How Does Virtual Reality Fit Into Brisbane’s Digital Ecosystem? 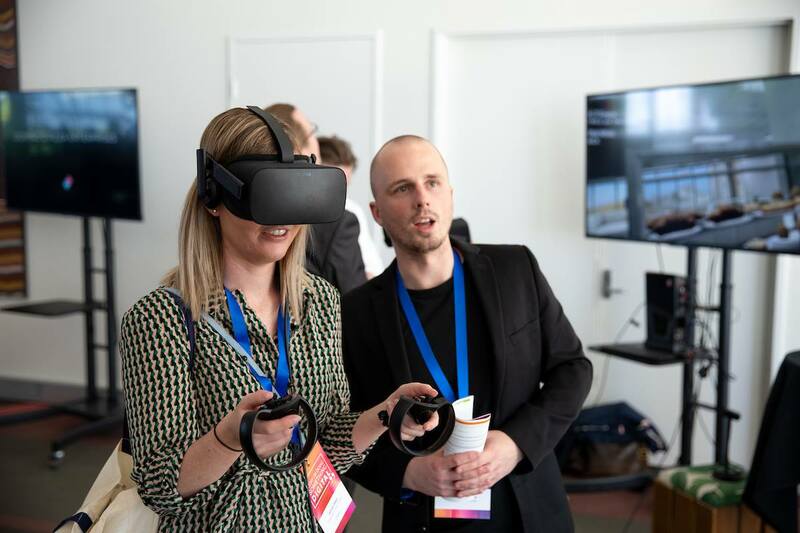 Amongst Brisbane’s thriving digital ecosystem, Immerse Enterprise has had the opportunity to showcase the latest in virtual reality technology at this years Something Digital, held at the Brisbane Convention and Exhibition Centre on November 1st. The atmosphere was electric, with a host of international speakers from all over the world at the forefront of the digital economy. The event, held over a single day, featured opportunities to experience a digital showcase from Brisbane’s technology landscape brought forth by leading startups, small businesses as well as established organisations deeply involved in cultivating the shift towards the digital economy. 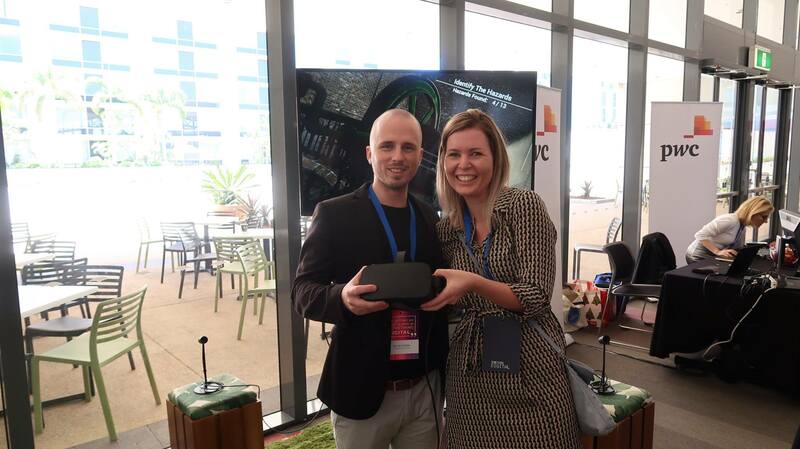 Our Chief Imagineer Lex Van Cooten attended the event to demonstrate the current state of virtual reality technology with some examples for attendees to experience themselves. The experiences on offer included a central theme of the event and formed the Something Digital Showcase, an innovation showcase and demo lounge. 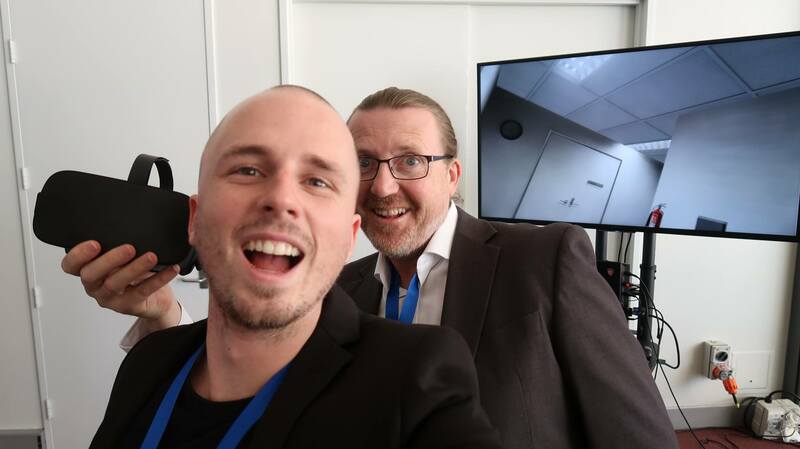 This created an atmosphere of curiosity, exploration and discovery as attendees were able to take a first hand look at some of the immersive experiences the Immerse Enterprise team have been developing on behalf of their clients. As an event focused on the advancements of the digital ecosystem, not only in Brisbane, Queensland but also as part of the global environment all attendees were fortunate enough to be provided with a program that encompassed the entire spectrum of digital capability and understanding with sessions, keynotes, discussions and demonstrations featuring content from startups, small businesses as well as mature and traditional businesses. This gave attendees a broad perspective on how technology and the ever changing digital environment affects everything from how we are using our physical and virtual spaces to how interact with each other. The mission of Something Digital is to promote thought leadership and to get us thinking about the world we are rapidly advancing towards. By having a better understanding how these technologies are shaping our society, businesses and the people around us, we are able to better prepare to use these technologies to create a more sustainable, efficient and innovative world. The program was designed to encompass four themes: Breakthrough tech, the digital mindset, the customer experience and Harnessing digital opportunities. Even for those who are not up to date with the path that technology has paved for us over the coming decades, there was something for everyone. Something Digital was specifically tailored to allow a wide range of attendees to harness the wealth of information on offer. The topics covered just about everything that one could think when it comes to disruptive tech such as AI and Machine Learning, Robotics, Blockchain and Distributed Ledgers, Customer experience as well as marketing, branding and the Media. Although there was still plenty of opportunities to have fun and get to know the people behind these innovations right in our own backyard. Immerse Enterprise took part in the showcase to demonstrate how VR technology could be used to preserve historical sites for future generations. This is a side of the technology that many people might not be familiar with. We often use technology for entertainment, convenience and to power our businesses with few seeing the long term cultural impact that lies just under the surface. This was something that was well fitting with the theme of Something Digital and we were grateful to offer the chance for people to see it for themselves. The experience demonstrated was designed on behalf of Queensland Utilities to provide a virtual field trip into the Kholo Pump Station. This not only creates a immersive experience into the past to see a Queensland heritage building in its prime but also provides opportunities in education, safety and even tourism. 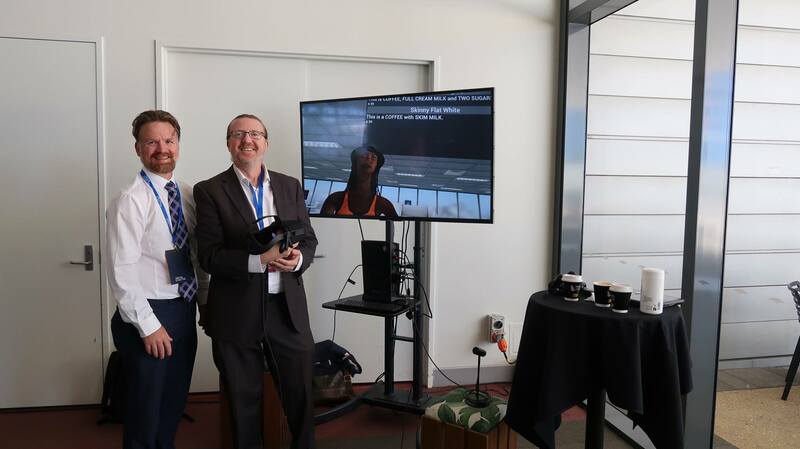 The more functional and practical benefits of virtual reality technology were also showcased along with our partners from Endeavour Foundation. The experience demoed, one of many we have developed with Endeavour, was a virtual employment simulation designed to help those with disabilities develop job skills in a structured but dynamic environment. In this case, the user is transported to a simulation of the cafe located at the Endeavour offices. The user will meet virtual customers represented as 3D avatars, who provide their virtual coffee order and perhaps ask for some of the usual treats found in cafes. Our goal was to show how VR technology is not only used to entertain us and allow us to travel to virtual worlds but can also be used to create practical skills that can then be applied to real life. For people living with disabilities this can be life changing in that the traditional barriers to training and employment are reduced in ways that would have otherwise be challenging without access to the technology. Overall the event was a refreshing look into the new world which we are stepping into, and an insight into the huge amount of local activity in the cutting edge digital arena. For those who are unfamiliar with the advancements in technology that has taken hold of the global community over the last decade, it can be daunting. This is especially true if you are running a business and feel that technology is quickly leaving you in the dust. By taking the time to learn and understand the abundance of opportunities tech has created for us, we will can get on board and grow a more flexible, adaptive customer experience. 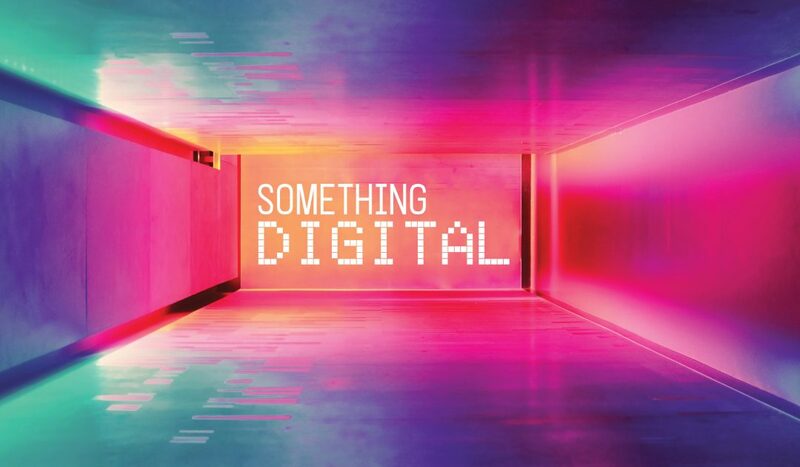 We want to take the opportunity to extend our thanks to the team involved in hosting this years Something Digital and all those who took the time to speak and collaborate to create such an exciting event. A special thank you to Nadine Zrinzo, Lisa Renneisen, Cat Matson, Llew Jury and Marek Kowalkiewicz. It was certainly an eye opening and exciting experience to be part of!